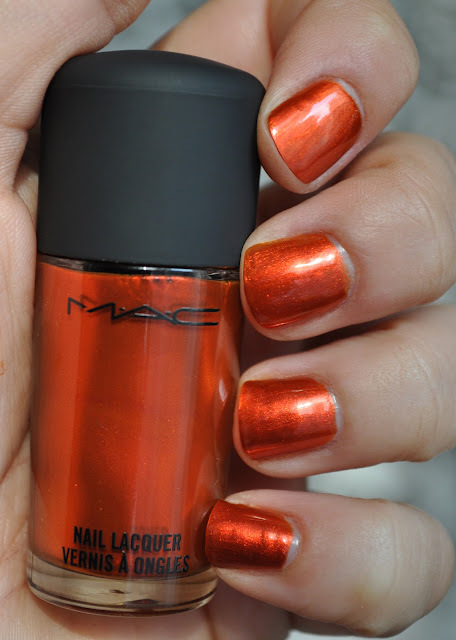 Mac's Styleseeker Nail Lacquer is an exquisitely gorgeous shade for Autumn, and I adore it! 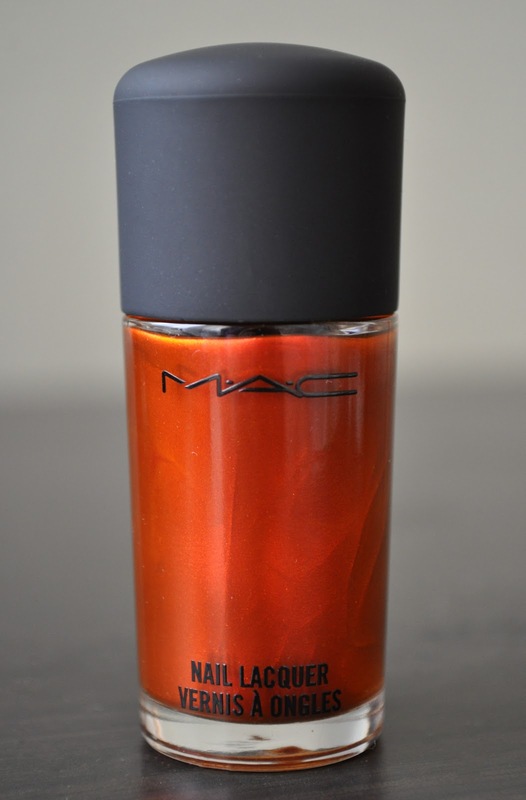 Styleseeker is a radiant, metallic burnt orange. The color reminds me of the burnt orange satin ribbons you see during the autumnal season. The formula is a little thick, but not problematic. Styleseeker takes about two to three coats to achieve opacity. Personally, I prefer the way this polish looks after a third coat. Styleseeker is truly a unique polish for Fall; I love wearing it and I'm happy to add it to my collection. 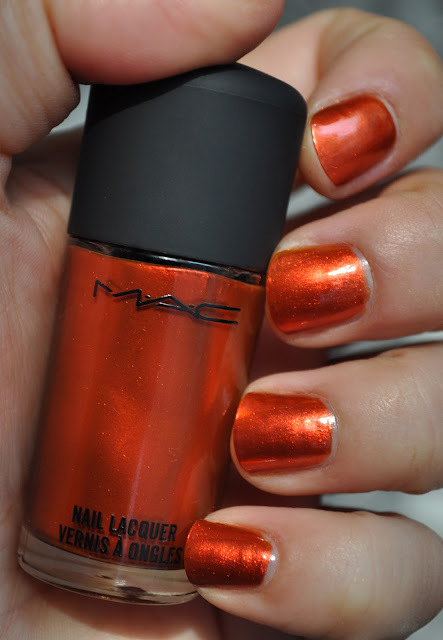 What is your favorite orange polish for Fall? You should try "Deutsch you want me baby" from the OPI Germany collection. Similar color, much better longevity. As do I, vampy reds and plums are gorgeous for Autumn and Winter. This is a amazing color! !